Reading How can blogging support your passions? Next How to approach blogging if you are a beginner? How can blogging support your passions? Blogging is a multifaceted game. It can act as a support tool for your business, it can be a creative playground for your passions or anything in between. It doesn’t matter which approach you take as long as it serves a purpose and you genuinely believe in it. At Pixelgrade, we’re striving to make room for blogging as a concept to shine. We discuss about it from a wide range of perspectives: from blogging as a profession to how such an activity helps you create a strong personal brand. We do that because we deeply believe in everyone’s power to reach their creative potential through blogging. 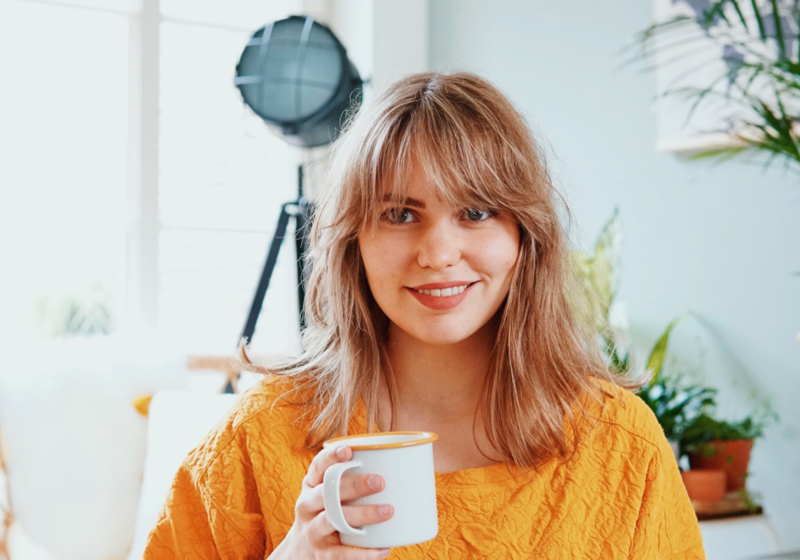 Frauke De Laender from The Life Factory is one of those gals who shows that blogging can be defined on your own terms. You have the freedom to create your path, to adjust the rhythm, to iterate how often you please. I reached her to find more on how beginner bloggers could start their digital journey. Let’s kick off! Q: How did you start blogging in the first place? Frauke: When we started studying, my boyfriend and I moved into a sweet little apartment. We were students, so had a very limited budget. Which is why we started to make things ourselves and fell in love with DIY. I wanted to share my passion online and so it happened. Q: Why did you choose WordPress as a platform? Frauke: Honestly, it was the only ‘good’ option I could find when I bought my own domain. I didn’t want to pick an online platform, but a package I could put on my own space, so it wouldn’t get lost. I’m really happy with the choice because WordPress is a very easy system, you really ‘own’ your blog and there are tons of plugins you can use to make your blog better. Q: What’s your blogging routine? Frauke: I don’t have it because I only blog when I have time and a good topic to work on. When I start, I usually think about the concept first, then do the creation and make pictures, edit them and lastly I write the copy. Q: What does the concept of slow blogging mean for you? Frauke: I only blog whenever I want to, about whatever I want too. Which means less updates, but qualitative and long posts I really wanna share, with effort put in both visuals and copy. Q: Did blogging help you create a brand for DIY projects? Frauke: Yes it definitely did! People reach out to me because they know my blog. It’s a great way to showcase my knowledge and experience and express my style. It happens 90% of the time that I get new work thanks to the blog. Q: What advice would you give to a fellow beginner blogger? Frauke: Be you! There are loads of blogs, just try to stand out by being 100% yourself and not copying what everyone else does. Make your photos, use colors and decoration you love andwrite in a personal tone of voice. Also, it’s important to realize that starting a blog and maintaining it takes a LOT of effort and time, plus probably also some investments. You need good material to work with! So if you want to start blogging, really keep in mind why you want to do it and if you have the time and passion to really dedicate yourself to it. Q: What lessons did you learn along the way? Frauke: Don’t sell out. Brands will quickly contact you when your blog is growing, but to stay true to yourself you shouldn’t just accept everything. Really keep an eye on the consistency of your content. I see a lot of beginning bloggers saying ‘yes’ to every opportunity which results in content that doesn’t suit them. You shouldn’t blog for the free stuff or events. Oh, and, when you wanna try something new: just do it! Only in that way you can see how your public reacts to it. Q: Do you make a living out of your blogging activity? Frauke: Not directly, it’s a nice little extra but I have a full time job. I mainly make some money out of the workshops I host, which are boosted by my blog. Q: What works for you regarding blogging? Frauke: As I said, just being me. Staying true to what I love and want to share! I’m very personal with my readers and that makes it feel for them like I’m a friend or family member sharing her experiences. It’s convincing and very open and I think that works best, people really want to be able to connect with you. So don’t mind sharing negative experiences or fails: you’re human! Q: What keeps your wheels spinning as a blogger? Create your own rules — don’t copycat anyone, just be true to yourself and think about why you are blogging in the first place (Is it because you’re looking after opportunities to express your creativity?). Make it yours — treat your blog as you outfit by making it truly yours from top to toe (Choose a theme that fits your personality, write content in a way that aligns with your style). Be personal with your audience — be authentic by sharing the good and the bad as well (Don’t try to impress your readers by being someone else because they will feel the superficiality). Give back — treat blogging as a way of giving back (No matter if what you are offering is your personal experience or your know‐how, do it openly and constantly). There are a lot of people like Frauke, who understood that blogging is like a dough — you can shape and grow it however you like. As long as you resonate with it good things will happen. No matter if the blog will be a playground for your hobbies, a serious career path or just another experiment, you have the luxury of trying. However, the beginning is the best (and the most fun) part of every story, so feel free to embrace the adventure today.